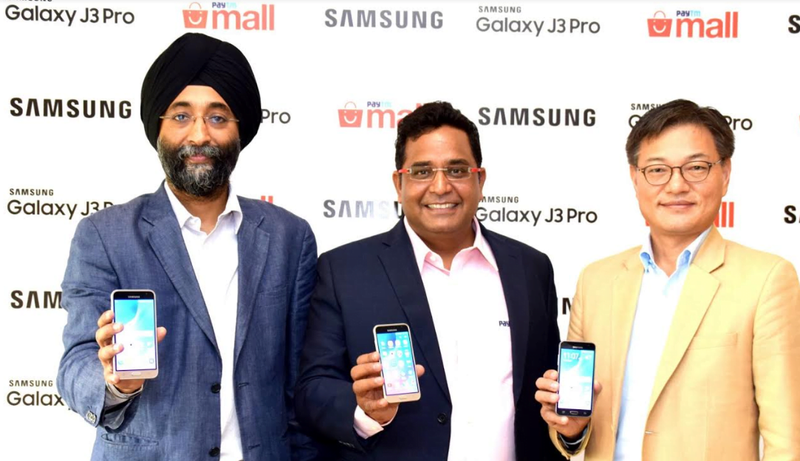 Adding yet another device to the Galaxy J series, Samsung India had today launched the Galaxy J3 Pro in India. It will be up for grabs in three different colour variants: Gold, Black, and White exclusively on Paytm Mall for Rs. 8,490. The Galaxy J3 Pro comes loaded with Samsung’s ‘Make for India’ features such as Ultra Data Saving (UDS) mode and S bike mode. For the unaware, UDS help consumers save up to 50% mobile data cost, while S bike mode encourages responsible riding. It features a 1.5GHz quad-core chipset coupled with 2GB of RAM and 16GB of onboard storage space which is further expandable up to 128GB via a microSD card to hoard oodles of multimedia files. Regarding display, the Galaxy J3 Pro sports a 5-inch Super AMOLED HD display. For the shutterbugs, the J3 Pro has an 8-megapixel camera (f/2.2 aperture) at the back. At the front is a 5-megapixel shooter at the front for selfies and video calls. “The Galaxy J3 Pro is an innovative product with incredible technology that comes at the most affordable price in its category. Our partnership with Samsung will help us bring this superb smartphone to the masses,” said Vijay Shekhar Sharma, Founder & CEO, Paytm. As mentioned earlier, the Galaxy J3 Pro is priced at Rs. 8,490 and will be available exclusively on Paytm Mall starting from April 6, 2017.